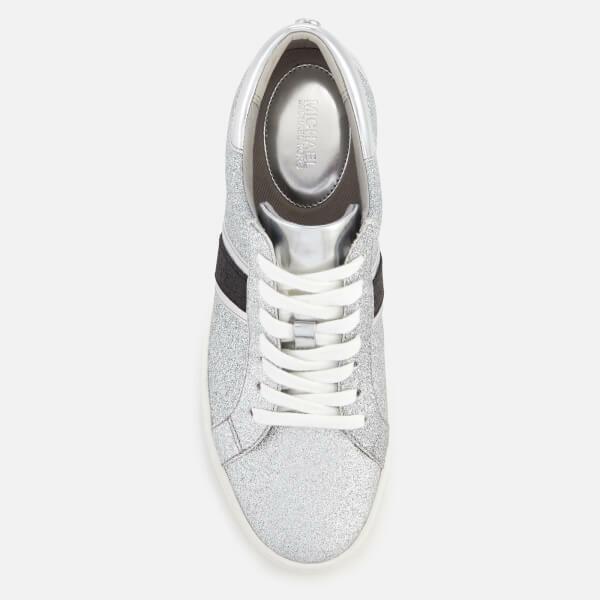 Women’s metallic trainers from MICHAEL MICHAEL KORS. 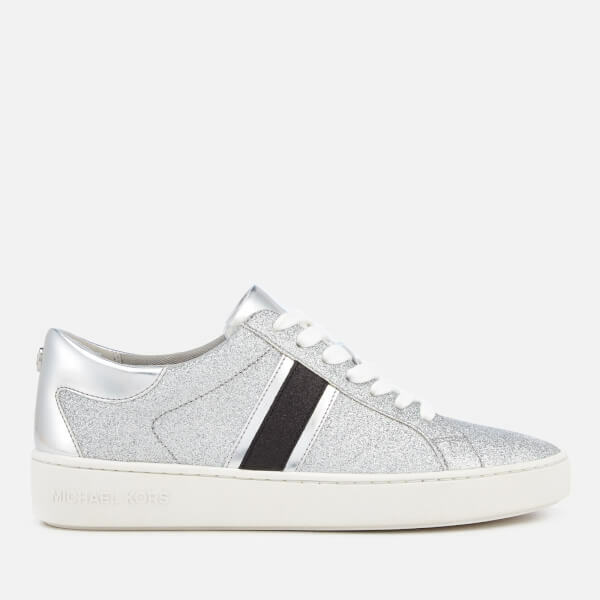 Crafted with silver-tone, glitter-finish uppers, the ‘Keaton’ sneakers are designed with contrasting black side stripes and smooth silver accents. The lace fastened trainers sit on a white rubber sole with embossed Michael Kors branding on the heel. Complete with a silver-tone ‘MK’ logo stud on the heel.